An emergency is an emergency, right? Well, now that we have established that, how about making sure that you are always prepared to meet an emergency head on? 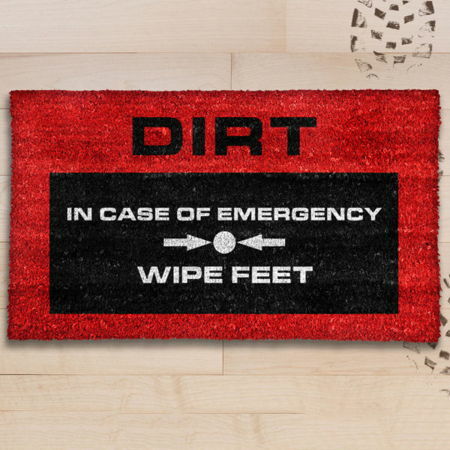 This is what the €14.39 Emergency Door Mat is all about, where it will ensure that folks will not enter your home without first wiping the muck off the bottom of their shoes. Specially designed in a way to resemble that of a bright red emergency fire alarm, the mat certainly sports a very clear message so that whoever decides to drop by your place will always be remembered to wipe their feet first prior to entering. The message on the Emergency Door Mat reads, “In case of emergency, wipe feet”.